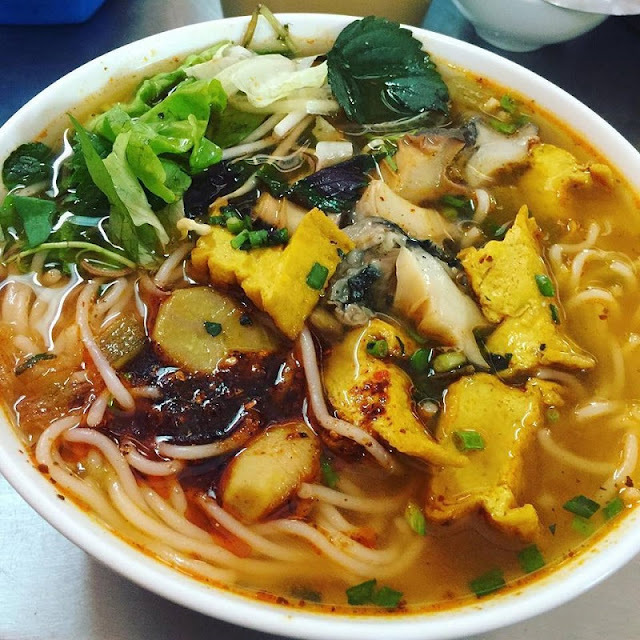 Vietnamese cuisine encompasses the foods and beverages of Vietnam, and features a combination offive fundamental taste elementsin the overall meal. Each Vietnamese dish has adistinctive flavor which reflects one or more of these elements. Commoningredients include fish sauce, shrimp paste, soy sauce, rice, fresh herbs, andfruits and vegetables. Vietnamese recipes use lemongrass, ginger, mint,Vietnamese mint, long coriander, Saigon cinnamon, bird's eye chili, lime, andbasil leaves. Traditional Vietnamese cooking is greatly admired for its freshingredients, minimal use of oil, and reliance on herbs and vegetables. With thebalance between fresh herbs and meats and a selective use of spices to reach afine taste, Vietnamese food is considered one of the healthiest cuisinesworldwide. 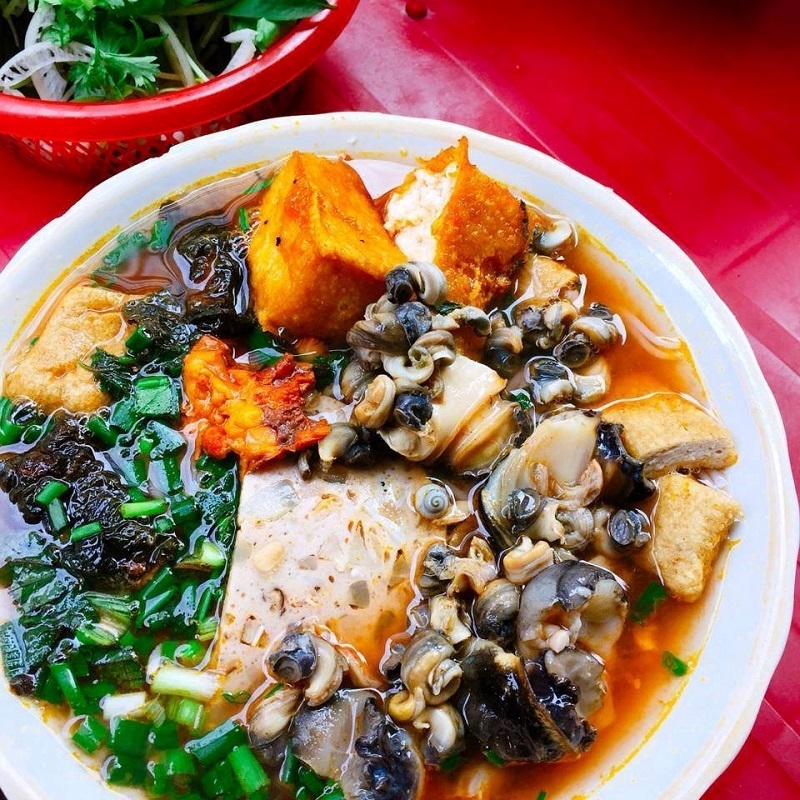 A unique food at the capital Hanoi will dispel the cold of winter will appeal to you from the first experience. That is the Snail vermicelli soup. Bun oc is mostly loved for its broth, a blend of sweet, sour, and spicy flavors. The broth is made from the water used to boil the snail and cooked with tomatoes to make it sour and pig bones to make it sweet. Tofu, vinegar, cooking oil, pepper, salt, sugar, and dried chili are then added to the consommé. The best snails for this dish are oc buou and oc nhoi, two large, rather rounded snails with streaks of color. After boiling the mollusks, the cook pulls the meat out of the shell and fries it with onions and fish sauce. Bun oc can be found in small shops along streets and alleys or on a pavement where a vendor has been plying his or her trade for years. 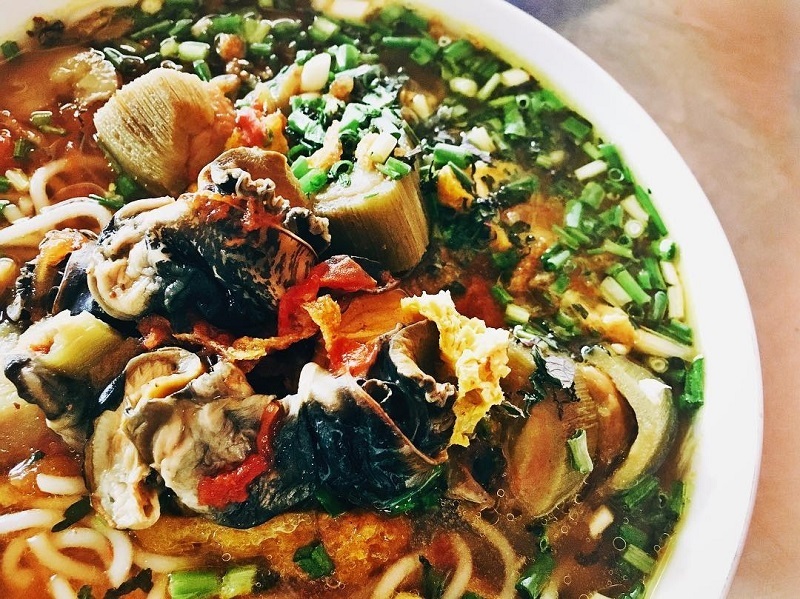 It is not clear why snail noodle soup is much more delicious at street stalls than at home, but street vendors keep their recipes secret. A plan to come to Vietnam, do not forget to savor unique dishes only in this small S-shaped country. Vietnamese cuisine is a mystery always make you surprise every experience.